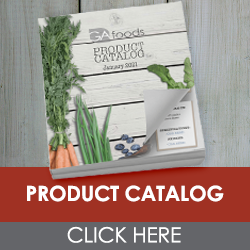 A puréed food diet provides nutrition for individuals suffering from many different diseases and conditions but is designed specifically for patients who have difficulty chewing or swallowing. People with dysphagia, or difficulty swallowing, usually follow this type of diet to prevent choking or silent aspiration. The length of time a person uses a pureed diet varies depending on the cause. People recovering from a stroke often use the diet for a period of weeks to months, and those with worsening throat cancer or a progressive degenerative disease may need to use the diet for the remainder of their lives. 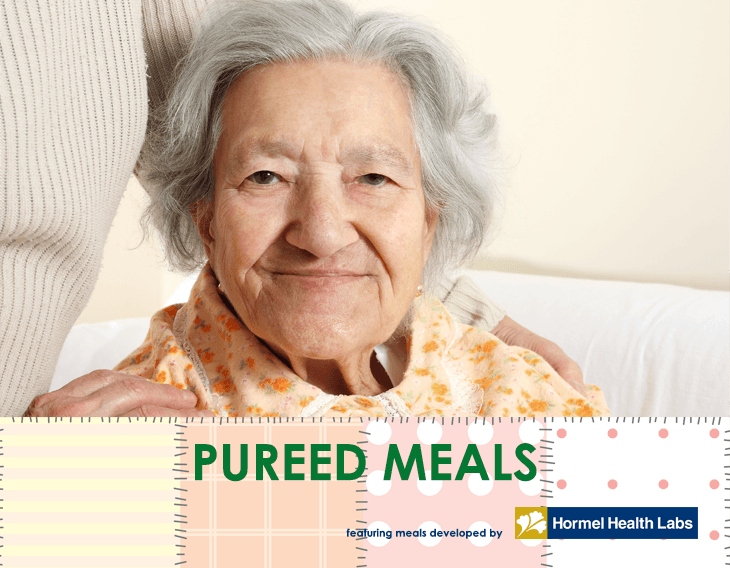 GA Foods offers 7 frozen options of puréed meals for seniors in 7-meal and 5-meal menus. 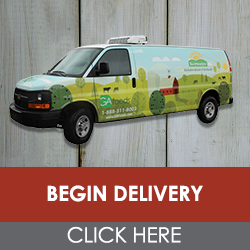 Bulk cases of individual meals are also available. Pork Chop, served with mashed potatoes, broccoli, applesauce, and instant breakfast. Turkey Breast, served with mashed sweet potatoes, green beans, and chocolate pudding. Macaroni and Cheese, served with strawberry applesauce, broccoli and chocolate pudding. Roast Beef, served with whipped potatoes, green peas, and vanilla pudding. Ham, served with mashed sweet potatoes, carrots, and vanilla pudding. Chicken Breast, served with garlic mashed potatoes, green beans, applesauce, and instant breakfast. Beef, served with cheesy mashed potatoes, corn, and applesauce.